Want to keep up your regular exercise routine over the summer holidays but have no one to look after the kids? Come and join Bee-fit at west park school for a fun, friendly and challenging boot camp class. The sessions will be held on the school field if dry and in the school hall if not. 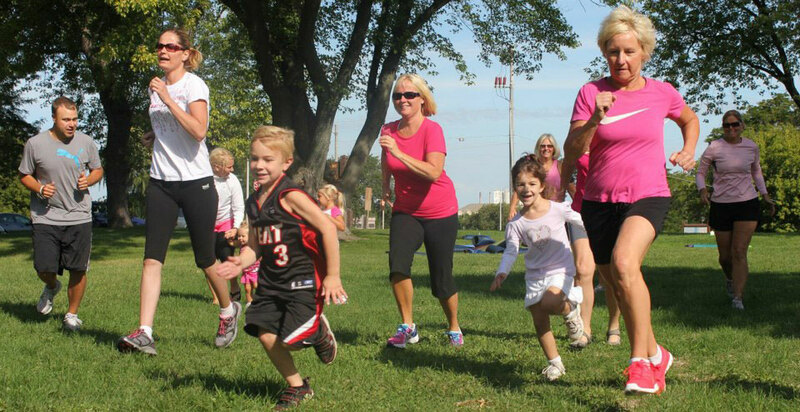 They will include a fun warm-up, boot camp exercises with music, games, races and a cool down. Two Bee-fit instructors ensure everyone gets the work out they require. All instructors are fully qualified, have relevant DBS checks and are first-aid trained. All ages and abilities will be catered for so for those who just want to play, we will have some Bee-fit equipment. As sessions will attract a wide range of ages parents or carers will be required to supervise children if necessary. Please ensure suitable clothing is worn, water and a snack if needed are bought to every session. 19th May – Bee-fit Tina’s Sahara Trek Charity Party at Elm Grove School 2-5pm.